Extend Tennessee's program-record win streak to 17 games. That would also tie the longest win streak of Rick Barnes' 32-year head coaching career. Stretch the Vols' home win streak to 21 games, dating to last season (it is the longest home win streak of the Barnes era). Tie as UT's best SEC start since the 1981-82 season (8-0). Make the Vols 6-1 all-time as the AP's top-ranked team. Tennessee's average home attendance of 18,406 ranks fourth nationally. This is Rick Barnes' longest win streak since he led Texas to a 17-0 start to open the 2009-10 season. At tipoff Tuesday, 73 full days will have elapsed since Tennessee's last loss. This is Tennessee's best start to SEC play since it won its first eight league games in 1981-82. Mizzou owns wins over Illinois, Oregon State, Texas A&M and Xavier this season and enters Tuesday's matchup on the heels of a 77-67 win over Vanderbilt on Saturday. Mark Smith (12.6 ppg, 5.5 rpg, 1.6 apg) is close behind Geist in the scoring column. The two have combined for more than half of the team's 3-pointers this year, accounting for 89 triples between the two. Smith paces the Tigers with 48 treys while shooting at a 46-percent clip from beyond the arc. Missouri doesn't have a high-scoring offensive scheme, ranking last in the SEC with an average of 68.4 points per game. However, the Tigers are the best team in the league when it comes to shooting from beyond the arc. MU is shooting 38 percent from deep. On the other end of the floor, Mizzou's tempo and solid defense has caused its opponents to struggle on offense, as the Tigers rank fourth in the SEC in scoring defense, allowing only 68.0 points per game. Take care of business this week. Get ready for the slow down coach C wants to run. Vols win, but expect a low scoring affair. However, the Tigers are the best team in the league when it comes to shooting from beyond the arc. MU is shooting 38 percent from deep. I'm not worried. I just saw that stat about 3 pointers and know it's one of the biggest weaknesses of the team at the moment. This has allowed some teams to keep it closer than it should be. Plus, it seems like every opponent team shoots well above their average from behind the arc. Here's to hoping for some improved 3 point defense. Go Vols! I understand the fan’s will be rowdy at the first (cuonzo) but, the best message to send when he is announced is crickets. Or even cheers. Would make all of the negative stories look so stupid. While on the road, vs decent to good teams MO is averaging 42.2%, and 34% from 3. No one knows what will happen' however I would not expect them to shoot much if any better than they did the first game at their house. I also fully expect Tennessee to cover..........but seriously I don't know crap, just my guess.......and hope. Also Tennessee at home is a bit over a full point better (than on the road) in D efficiency. Hopefully this won't be close. Hopefully it won't sound or look ignorant. 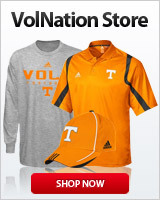 It didn't work out, Tennessee has moved on, and so should the fans............it;s working out for Tennessee anyway. Could easily take Mizzou for granted with Florida coming up. I'll go with a lower score and win by 10. A shout out to Maymon for his time as a Vol. Also, thanx to Coach Martin for leaving the door open for Coach Barnes. Missouri loves company - let's return the favor and show some Vol hospitality - don't beat 'em by more than 20 or so. GBO!!! Let's Go Vols!, perimeter defense needs to tighten up! I don't think this team has taken anyone for granted. They are getting everyone's best and they know it. They will be ready for Mizzou. Then they'll get and be ready for Florida. I would hate to be Mizzou! Another big SEC game in prime time. When we raise our fingers saying we are number 1, it will be true.